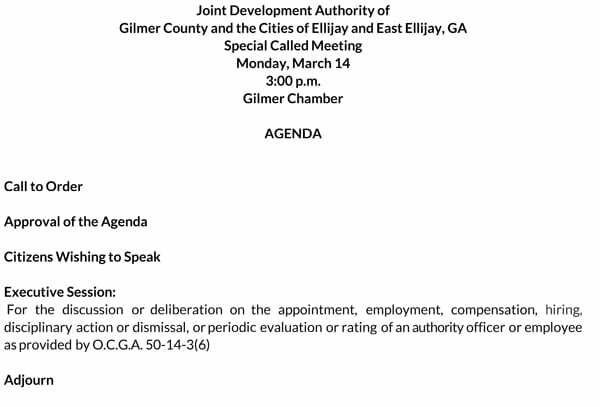 The Ellijay Downtown Development Authority received an exciting update to its upcoming Ellijay website at it’s Wednesday , January 11, Meeting. The website currently under construction is adding new features such as live updates connection with a businesses Facebook page. This is in addition to the already announced links and content that business owners can get from becoming part of the site like the YouTube video tour, business photos, direct map links, and descriptions. However, the moe exciting news to those business owners attending the meeting came as the website membership is becoming free. Business owners all over the Ellijay’s, according to the DDA, are welcome to join the site to increase exposure by visiting ellijay-georgia.com and following the link in the top right to “Add My Business.” Authority members have dropped the $45 fee in favor of increasing memberships to further aid the DDA. Fund raising will still be a part of the plan, however. As the website will be utilizing some advertisement space to raise those funds later. Discussion also arose on exposing the website with ideas ranging from window stickers similar to the popular “Gilmer’s Got It!” stickers, exposure to tourists through booklets in local hotels, to cross posts and social marketing through the Cities websites and pages. While the website is still collecting members to become fully operational, business owners can “preview” the site’s setup through the same ellijay-georgia.com address. The DDA also was set to elect new officers during their meeting. But, due to the absence of three members, was forced to table the elections until February’s meeting. The majority of citizen’s and council’s input revolved around two issues that faced the Council at Monday nights meeting, November 21. A Public Hearing was held before the regular meeting to hear citizens speaking for or against a Rezoning of Lot 13 on Legion Road to Commercial. The owner, David Rachlin, stood to speak about his plans for the lot stating he was wanting to establish an RV Resort for visitors to the area. His Resort idea included 10 RV’s that he would rent to visitors and establish on the premises, so no visitors would need bring theirs. While he expects mostly weekenders and short time stays, the owner also spoke of adding other facilities to accommodate the Resort including a Sauna, Jacuzzi, Game Room, and even a possible Basketball Court. According to Rachlin, the business has already been tested in a separate area and has been receiving five star reviews on popular sites such as Yelp! The business would be set to open from April 15 to November 1 each year. However, several neighbors to the proposed lot appeared before the council to oppose the rezoning request such as Gary Blasky, a resident of the nearby Timberwalk Estates, who raised questions about the size of the lot, its boundaries, and the close proximity to his neighborhood. Another resident of Timberwalk raised her security concerns as well stating the proximity would allow campers in the RV Resort to be only a short walk from residents backyards and their children. Jim Mahoney, a nearby resident who stated he lived within 200 feet of the lot, opposed the zoning request on concerns about increased noise and traffic on the road in addition to his proximity. In fact, roughly 10 different people stood in the public hearing to voice their concerns in addition to a report of numerous calls, a 15-signature petition, and a letter from the Environmental Health Department concerned about the size of the lot in relation to the stated plans for a commercial business. Ultimately, the overwhelming opposition before the City Council led to a 5-0 vote to deny the request. 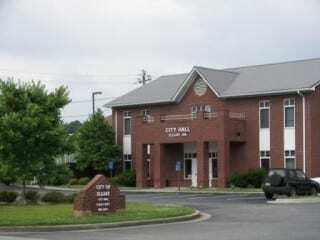 Other requests before the council involved new and renewed alcohol licenses including, Holts Mini Mart for an Off Premise Consumption Beer and Wine License, Ellijay Convenience for an Off Premise Beer License, Seth’s on Boardwalk for an On Premise Beer and Wine License, American Legion for an On Premise Consumption Renewal, Cajun Depot for an On Premise Beer and Wine Renewal, River Street Tavern for an On Premise Beer, Wine, and Distilled Spirits Renewal, and Lee’s on River Street for an On Premise Beer, Wine, and Spirits Renewal. All of these licenses received approvals, but those approvals came contingent upon background checks for each as the City has had trouble receiving the checks due to a change in process. According to City Clerk Sharon Nelson, the Georgia Bureau of Investigation recently informed the Council non-criminal checks now have to be done through a third party. One other subject on alcohol came through the Council’s meeting as they are once again considering an ordinance to allow alcohol on the Downtown Boardwalk. This time, the ordinance would allow for a specific section of the Boardwalk to be an allowable zone for those drinking at the local restaurant. Ellijay City Chief of Police Edward Lacey was asked his opinion on the possibility in the meeting. He replied as long as clear signs marked the area, it would be enforceable by officers. The discussion came up to gauge the council’s interest before spending money on the City Attorney to draw up another legal wording document for the council. The First Reader on this specific “Zone of the Boardwalk” will appear before the Council in December’s Meeting. Two final actions taken by the council at Monday’s meeting appointed new members to two boards. 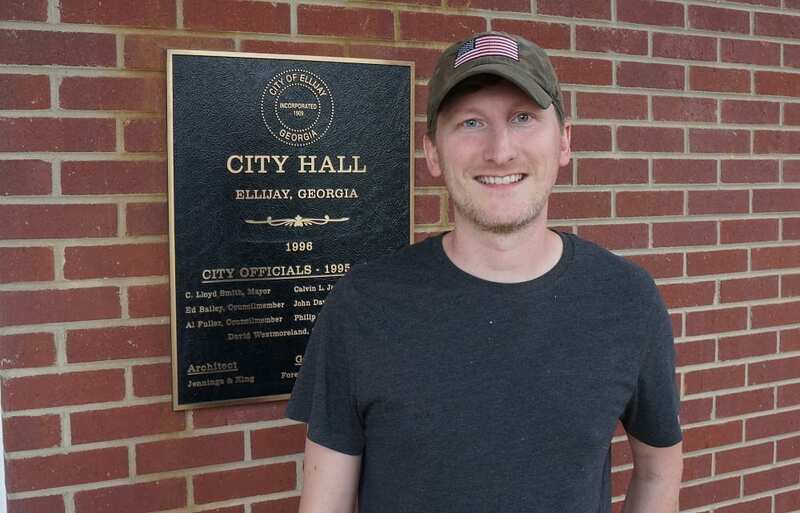 The Council returned Lex Rainey to the Gilmer County Board of Health for a 6 year appointment. Rainey was already on the Board, but was nearing the end of his term. City Mayor Al Hoyle told the Council that the Board of Health requested the City re-appoint Rainey due to his active roles and support he brought to them. Finally, the City Council also filled a vacancy on the Downtown Development Authority with Judy Wilson. Mayor Hoyle informed the Council Wilson had already been notified and indicated she would be willing to serve on the DDA.